Make the decision to sterilize a cat can be difficult – after all, it is a serious stress for the animal and its owner. However, if your cat is a free way of life and does not belong to the number of breeding animals, it is better to sterilize her. Reproductive unfulfilled needs create a risk to the health of the animal. But after the operation you need to follow some rules so that the cat remained healthy and active. In particular, it concerns features of the feeding. Remember that a neutered animal requires less food, as it begins to conduct less active way of life. Food can be for her the only entertainment – try to avoid it. Play with your cat, talk to her. Ensure that the diet of the animal was sufficient minerals. But foods that contain phosphorus, and magnesium should be removed as they can lead to the development of urolithiasis. Caring owners often believe that doing a good deed, taking care that the bowl of the cat all the time was food. But the animal is sterilized, it is possible to provide "lip service": in this mode the power it will inevitably gain weight. But clean fresh water, on the contrary, must always be the cat in the bowl. Specific feeding recommendations are dependent on what you feed your cat natural food or industrial feed. If the cat eats homemade food, after sterilization, it can have meat (beef and poultry), milk cereals, vegetables, dairy products. Useful and pleasant for the cat Supplement the diet are by-products (chicken and beef hearts, liver, gizzards). Fish sterilized cats better not to give, due to the large content of magnesium and phosphorus. If you are feeding your pet industrial feed, after surgery, it is better to pay attention to the power of the "Premium" or "Superpremium". On the package, usually must be specified whether it is suitable food for a sterilized animal. Some manufacturers produce special series of food for these cats. 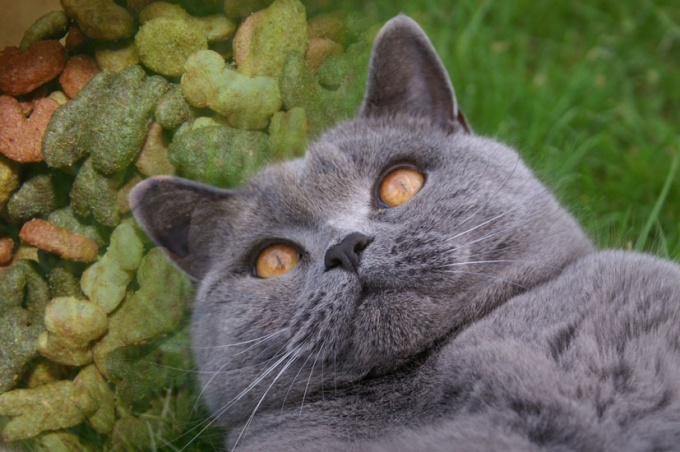 Not worth it safe and start feeding your cat diet food to treat kidney stones, if symptoms of the disease it does not. Healthy cat, even sterilized, diet food will not bring benefits. Control the weight of the animal. After surgery, the cat is in any case slightly better, to be calm, but do not let the signs of obesity. To determine whether there were cats are overweight, run your hand over her back and thighs: under normal weight of the bone should be palpable to the touch. Remember that the first food from your table it is impossible to give not only sterilized, but ordinary cats, as if they didn't ask. Fried, fatty, spicy and sugary foods can cause serious harm to the health of the animal, in particular, problems with the liver and kidneys. If you want to limit who scored the extra weight of the cat food, it is not necessary to reduce the number of feedings – this will cause the animal stress, better reduce the portions.